A tour that will shatter the basic knowledge about human transition from hunting-gathering to agriculture... a place of worship so ancient surpassing Stonehenge by 7.000 years and so enigmatic with its peculiar end that it will feed your curiosity forever... see the other faiths of the human heart in the Holy lands of the Holy books... a path to your inner self too as you encounter uncountable treasures of art and architecture along with different walks of life and enjoy befriending hospitable locals..
Cappadocia; hard to believe you are walking the Earth that you know or have you been taken to Heaven in a heartbeat? 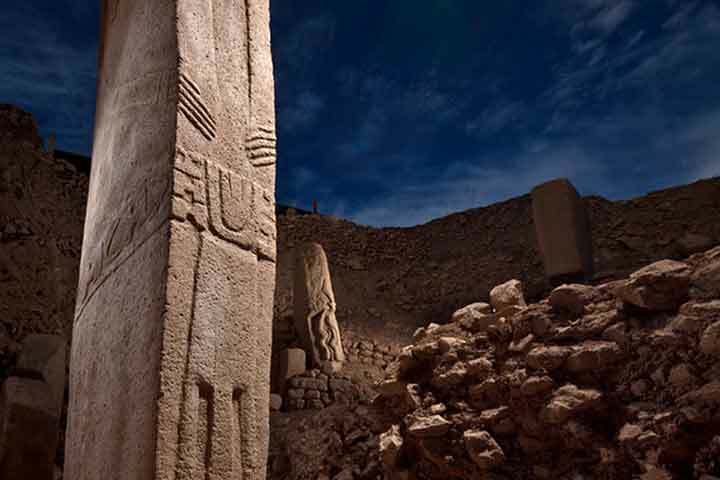 Mt.Nemrut; is it just a final resting chamber of a king… or might there be more to it? A very special tour from the point of history, archaeology, architecture, and religion. 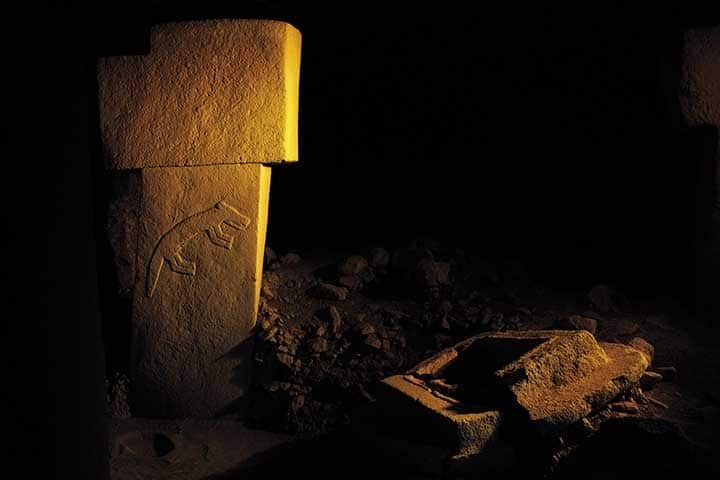 It takes the guest literally to the dawn of man in Gobekli Tepe which has been puzzling, dazzling and confusing the world ever since it was discovered. You will also visit the holiest lands of human faith in Urfa, one of the oldest universities in the world in Harran and see the most admired, outstanding examples of mosaic art in Zeugma. Sunset on top of Mt.Nemrut is not to be missed; you will want to see the pictures you will take or your records over and over again. You will also be able to see one of the largest terrain transformations by human hand realized by the gigantic Ataturk Dam and the vast irrigation system associated with it. We have organized a trip for you to your deepest roots in the Fertile Crescent where you will be inspired and impressed profoundly and will wish to create rare documents of your experiences that you will eagerly pass on to coming generations. In the morning, meeting with the lunar landscape of the region, starting with the rock formations beyond imagination in Devrent Valley; Walking in Zelve Open Air Museum: a journey in the past with its troglodyte houses; visit Pasabag- three-coned fairy chimneys” where the voice of wind mixes with the “songs of fairies”. Lunch is in Avanos, the center of terra cotta work of art since 3000 BC. In the afternoon visit the famous UNESCO World Heritage Site Goreme Open Air Museum and see the best examples of Byzantine art in rock-cut churches with frescoes and paintings (10th & 13th century). Depending on the period of the season, Goreme Open Air Museum visit time can be altered to avoid crowds of tour buses. Dark Church is also included in this tour. Red Valley, with its fabulous volcanic rock formations, is in the heart of Cappadocia but away from the tourist crowd. Rock-Cut hermit churches with frescoes and paintings fit with the Valley’s meditative atmosphere, remained intact since the beginning. Our lovely hike will start from a beautiful panoramic point presenting us great light in the morning for pictures. After the hike, we give a refreshment break in Cavusin village which will be complemented by a visit to the first church of the region; John the Baptist. Cavusin Church is also on our list to avoid tourist buses. After lunch, a 20-minute drive will take us to the least visited Underground City; Ozkonak which was discovered by a villager while he was looking for the water disappearing from his irrigation system in his field. Unlike other underground cities, Ozkonak has different ventilation and security system. 4 of the 8 floors are open to visitors and believed to shelter 60,000 people from persecution and loot. Overnight in Cappadocia. After an early breakfast, we'll depart for Gaziantep where you can see the amazing Mosaic Museum which became after the discoveries of Zeugma. Passing through Nizip and Birecik, lunch break at Gaziantep which is famous for its kebabs and baklava. Arrival to Urfa & overnight. 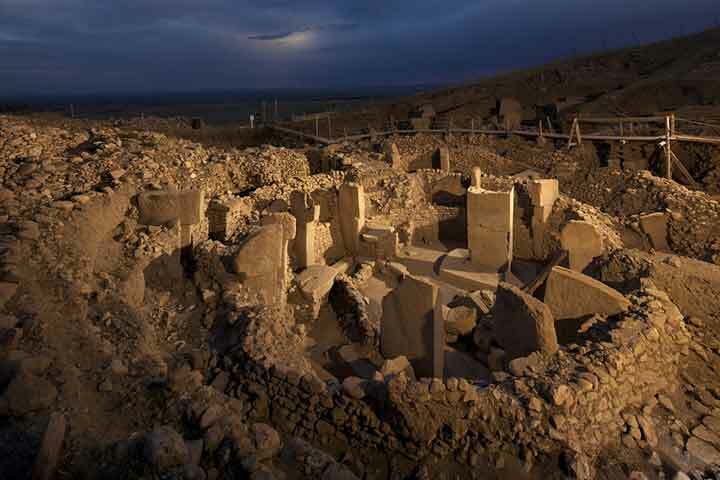 Early departure for Gobekli Tepe – an ongoing excavation and known to be The Earliest Temple of Human Being (dated back 13000 years ago), a hilltop sanctuary erected on the highest point of an elongated mountain ridge some 15 km northeast of the town of Urfa. After the visit, drive to Urfa center to see Abraham’s Cave and The Holy Pool. Lunch at a nice local restaurant; drive to Harran to see the incredible Beehive Houses. Harran- according to the Bible- was the site where Prophet Abraham spent a few years with his family. Overnight in Urfa. Depending on arrival we will check into the hotel or start the tour directly. After brief information about Mt. Nemrut at the hotel, or at lunch; we will leave for Nemrut passing through still functioning Cendere Bridge built by Septimius Severus in the 2nd Century, then to Tumulus Tomb of Karakus, Arsemia and continue driving to the peak to get to the top of Nemrut for the stunning Sunset visiting East & West Galleries. Drive back to the hotel and overnight. DAY 6 - TRANSFER TO AIRPORT FOR YOUR FLIGHT BACK HOME VIA ISTANBUL.